Video games have a been a holiday gift staple since at least the Commodore 64. Now with so many consoles, buying options, games and (unfortunately) microtransactions and required DLC available, gift ideas are expansive to say the least. Well, while we can’t tell you what game you should buy for who, we can at least give you a hand in figuring out where to buy it. Here, we’ll give a quick rundown of the best video games and video game accessories deals for Black Friday 2017. As always, keep on eye out on the ESRB ratings and buy appropriately for who you may want to gift some of these items to. Like many gift ideas, you can start your look for the best video game and accessory deals on Amazon. Here are a few we found to be extremely good deals. Obviously, you can’t play video games without a proper computer or console. Amazon currently has one of the most popular systems in the world in a new set up. The Xbox One S with a full terabyte of memory, 4k capabilities, and a huge library of games is on sale alongside Forza 3, one of the best racing games around. Likewise, you can instead pick Assassins Creed Origins as the bundle game, which has been received much better that previous games in the franchise and is a historical open world game. Currently as a Black Friday Bundle Sale, this is $299 as opposed to the normal price of $350, which saves you nearly the cost of an entire game. Now maybe who you are buying for isn’t a big Xbox fan, and instead prefers Sony’s Playstation line. Well, there’s good news for you, the Playstation 4 is on sale during Black Friday by Amazon for $199, a full $100 off its normal price. While it does not come with a game, this console is a fantastic price and for $100 you can easily toss in a game or several without paying more than you would before Black Friday 2017. If you’ve paid attention to anything remotely video game related over the past year or so, you’ve likely heard at least a few things about Overwatch. Formatted as a colorful, cartoony Arena style shooter akin to Team Fortress 2, Overwatch has become one of the most popular games among many different circles. Therefore, it’s a great idea to pick up this game for either Playstation 4, PC and Xbox One for only $30 instead of the usual $60. As an added bonus, if you are buying for a PC player, you can more effectively hide your gift by buying the game digitally and getting a code as a buying option. 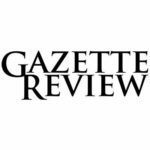 Fred Meyer’s has quite a few great deals available to those who can make it there this Black Friday. Here’s some of the best highlights. So far the only console to nail both mobile and standard console gaming with something for everybody, Fred Meyers has a great deal for this console at $300. For the same price as the PS4 Slim offered by Amazon, the original Playstation 4 is available for pickup at Fred Meyer’s, which can make the coordination of shipping and picking up all the easier – especially if you’re using the excuse of just “getting something to add to the Thanksgiving leftovers”. 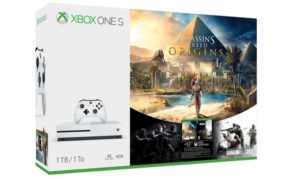 If the price of the Xbox One S 1TB Bundle seems a bit much for you, then looking into the smaller model may be a great idea. Coming in at $190 instead of $280, this can be easily supplemented with a formatted removeable hard drive to make up the missing 500GB, and can still purchase a game that’s for sale to round out the package. 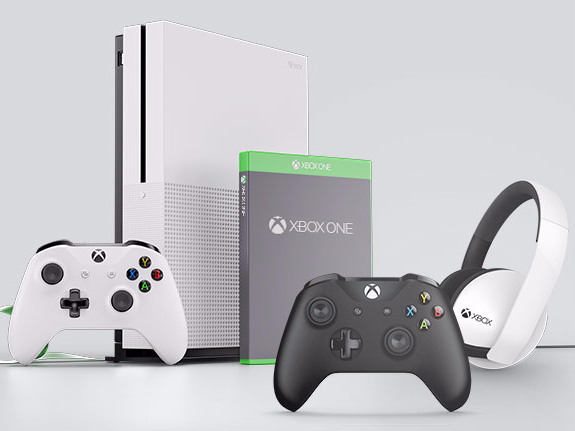 If you do decide to purchase the above console, you can also get an additional $10 off an extra controller, which on top of the normal sale brings it to $50 instead of the regular $70 price. Purchasing any DualShock Controllers on Black Friday will save you $20, bringing the price down to $45. 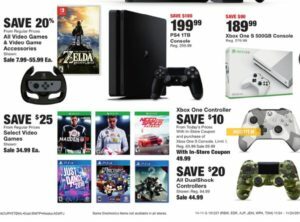 For anything not listed here but video game related, Fred Meyer’s is giving a 20% discount to all items from regular prices. Best Buy is a regular stop for most techies, and as expected has a good number of deals for video games and video game accessories this Black Friday. If who you are buying for is seriously into online gaming, especially in multiplayer environments, Turtle Beach is where it’s at. With great clarity, the ability to hear both chat and gameplay, and just overall incredible performance, any sale on Turtle Beach should be noticed. Black Friday is a great time for both games and game consoles to be purchased alike. If you’re not too keen on the newest releases, both Best Buy and Fred Meyers are worth a visit, and Amazon has a killer deal on Overwatch, which is fantastic. In terms of consoles, both the Xbox S 500gb and the PS4 slim appear to be the best deals, as 500 GB of memory can easily be added in for cheaper, and given the no-price difference, the slim Playstation Model makes for better mobility and just has a better overall aesthetic. Did we miss any great hauls for video games during the Black Friday 2017 season? If you found something fantastic, please feel free to share with us and other readers in the comments section!